The BBC have confirmed that a preview of the Christmas special will be shown this Friday night at Children in Need. 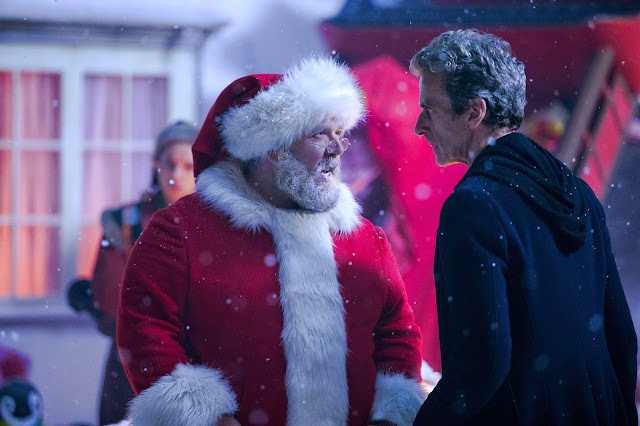 They have also released this promotional picture, featuring The Doctor and Santa Claus, alongside the announcement. I'm just hope one year they make a Xmas special that's NOT Xmas themed. Just because it's on at Christmas Moff, doesn't mean it needs snow, Xmas trees and Santa. It makes re watching in May seem all wrong!